Oxford has for too long been without gourmet sourdough donut adventures. 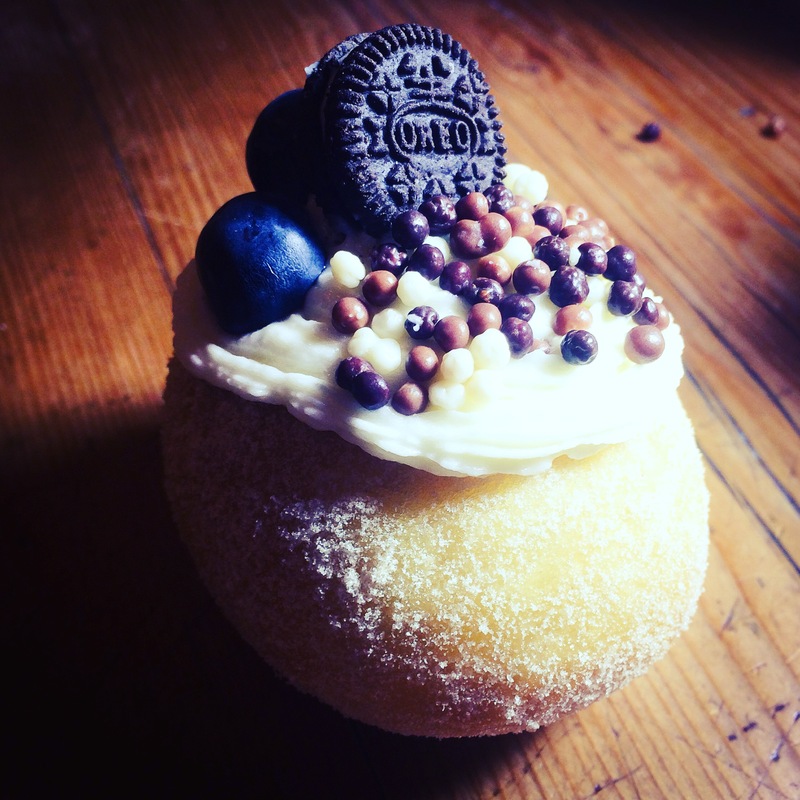 Our donuts are handmade in Oxford with ingredients that where ever possible are organic and fairtrade. The wild yeast in our dough is a beautiful thing which comes from our own organic rye sourdough starter and offers all the health benefits of sourdough bread. We fry our donuts in Rapeseed Oil which is grown in the UK because it’s healthier than other oils. 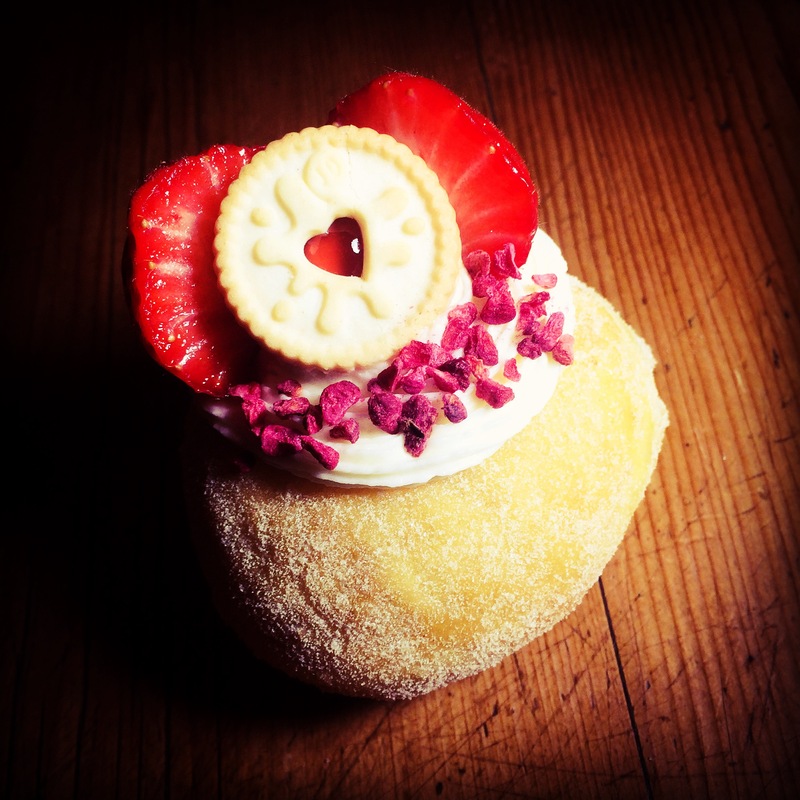 We’re looking to create deliciously playful food to take Oxford on sweet adventures. 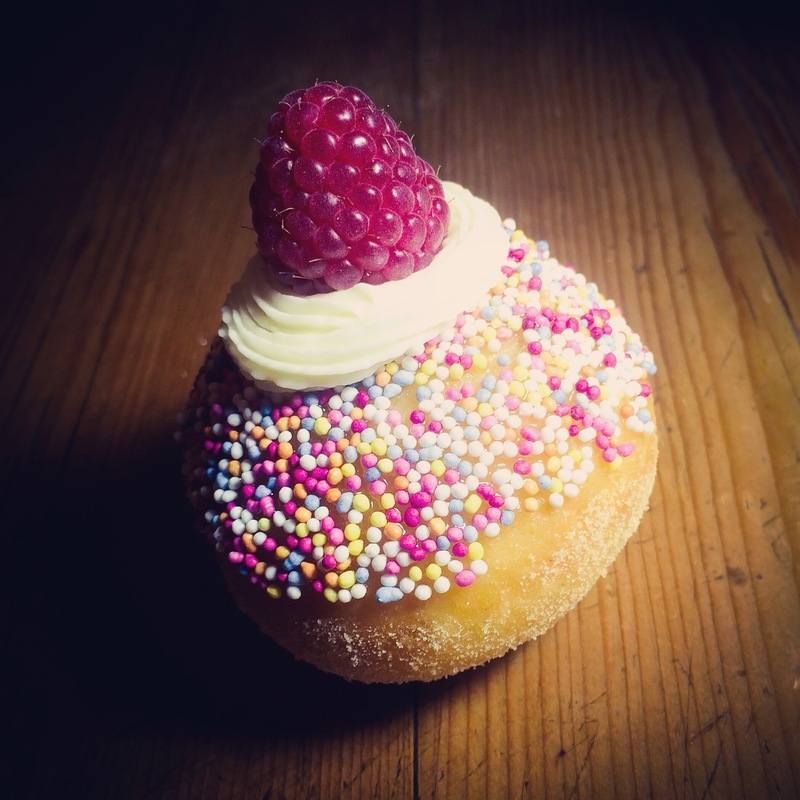 Hundreds & thousands cloak this donut topped with butter icing and a single raspberry. The filling is a simple raspberry Jam. 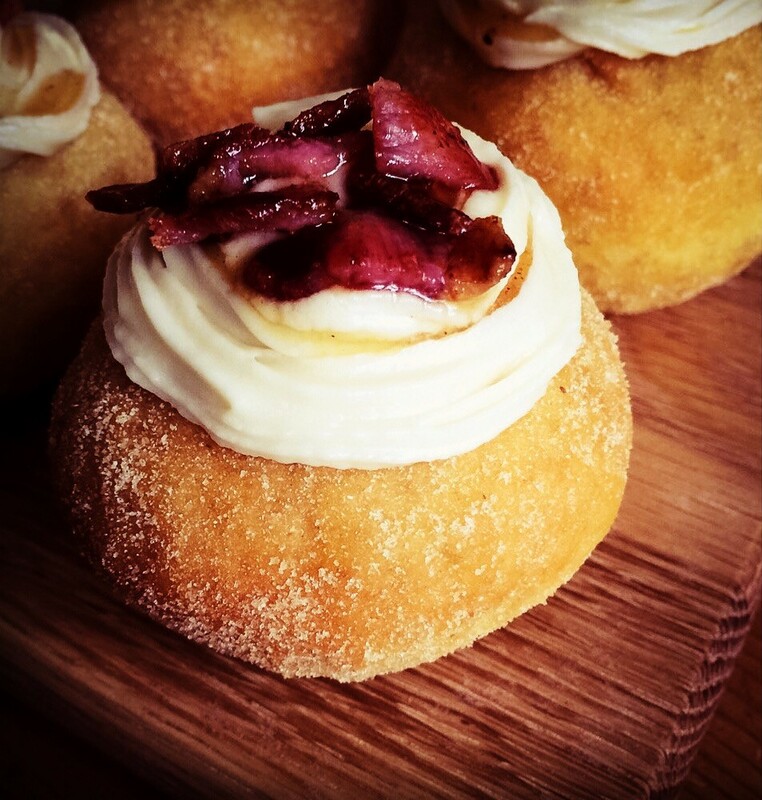 Beetroot powder dusted and maple syrup soaked bacon is what tops this donut on a bed of maple syrup icing, but the flavour adventure doesn’t stop there. The filling is an apple and pistachio jelly. Every Saturday we plan to deliver three donuts to three unsuspecting tasters selected at random from our taster team every week. To join the taster team sign-up HERE.